As part of a brand relaunch, Jet.com has introduced what it calls a “city grocery experience” tailored to New York City residents. The Hoboken, N.J.-based Walmart subsidiary said Thursday that its enhanced online grocery service will cater more closely to the lifestyles of city dwellers. Customers will be able to choose three-hour scheduled same-day and next-day delivery windows for groceries, everyday essentials and other merchandise. Providing last-mile delivery will be Parcel, the New York-based delivery company acquired by Walmart last October. Parcel uses routing algorithms, a fleet of leased vehicles and a professional, employee-based workforce to quickly sort, load and deliver packages to customers. 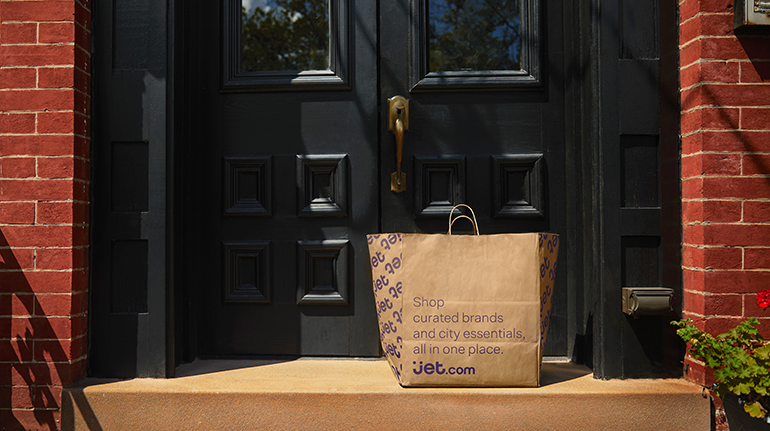 Jet said that shoppers also will be able to add customized delivery instructions at checkout, such as “leave the package with the doorman.” Grocery deliveries will come in recyclable, insulated bags to preserve quality and freshness for up to three hours, the company said, adding that the bags offer more portability for city customers bringing the orders from the front door to the refrigerator. Supporting local and small businesses, the product mix will have a distinct New York flavor. For example, Jet said it has partnered with iconic New York-based brands ranging from Bedford Cheese Shop, Pat LaFrieda meats and Orwashers Bakery, to local favorites like Big Gay Ice Cream and Just Bagels. New Yorkers also will be able to order craft, ultra-craft, domestic and premium imported beer online, with same-day and next-day delivery to become available in the coming months. To process orders for the new service, Jet is building a dedicated e-commerce fulfillment center in the Bronx, N.Y. The facility, announced in July, is due to be completed this fall. Through the brand relaunch, Jet said it aims to “rehumanize” e-commerce and sharpen its focus on customers in major metropolitan cities, starting with New York and rolling out to other urban markets later on. 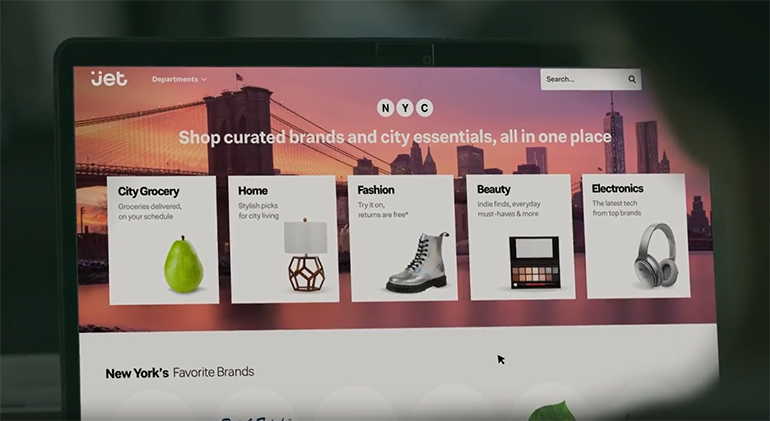 The enhanced experience is intended to provide a more “intentional catalog” that’s personalized and relevant to city consumers’ living needs and shopping preferences in grocery, home, fashion, beauty and electronics. In announcing its relaunch, Jet also said that in October it will kick off a strategic partnership with Nike to create a curated, consumer-centric experience. The initial assortment will include hundreds of Nike- and Converse-branded products in apparel, footwear and accessories. Jet is supporting the initiatives with a marketing campaign titled “Our Carts are Different Here.” The effort will tell the stories of city dwellers’ unique shopping needs through television, audio, digital, social and out-of-home media. Jet’s brand revamp marks another step forward by Walmart in trying to reach the lucrative urban New York customer. At the end of May, the company unveiled Jetblack, a new retail service that uses a concierge-style approach to online shopping through “conversational commerce,” or the ability to shop via text messaging, online chat or voice. Developed by Walmart tech incubator Store No. 8, Jetblack launched on a limited basis in Manhattan and part of Brooklyn.